i went and did some snooping around since i had the issue of not finding a treasure map pickpocketing maiq the liar, checked in tes5edit and it places the map inside Elsweyr(test cell, with console command: coc elsweyr) which i went into and found the map lying near the corner. was this an oversight? or was maiq supposed to pick up the map whenever he was inside this cell? honestly don't know but atleast that's a workable thing. thankfully haven't have missing maps on chest's so far, but i won't push my luck. step's taken during this whole thing: find maiq randomly in skyrim, pickpocket only to find nothing, open console and click on maiq so you can get his id ( using mfgconsole, forgot how things look unmodded) so you can use a "player.moveto *ID*" so you can get back to where you were, type in the console "coc elsweyr" to get to the map which is near a corner on the floor, use the player.moveto to get back to maiq and continue where you left off. that's about it, kinda odd how the map is just around the test cell, and no one's tinkered around to find it since this problem popped up. Hi, nice mod. Found a bug with Treasure Chest number XXIII. If you are in combat when press the "E" key for to dig up the chest, the screen go black and never return to normal. I'm having this issue as well. Specifically at the toadstool ring chest by the orichalum mine north of glenmoril coven. 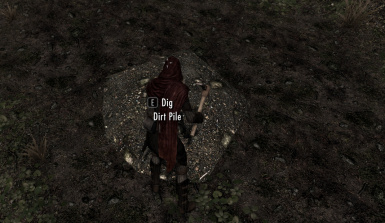 Since treasure hunting was one of my favorite aspect of Skyrim the first time I played it back in 2013, I was super hyped when I saw this mod. 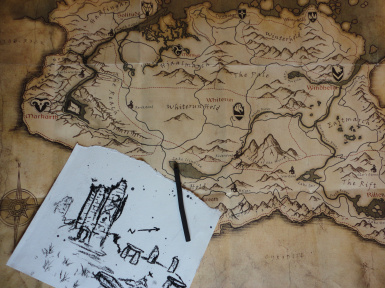 The maps I found so far are very well drawn and fit perfectly along side the other maps that Skyrim offers, easily doubling the fun of the original treasure hunts. Unfortunately I've been running in several issues with the way the mod is implemented. I've reinstalled Skyrim several months ago and been playing it with this mod in my load list. During my first playthrough, the only map I was able to find was the map in the Bannered Mare. I saw M'aiq but he did not have a map in his inventory. 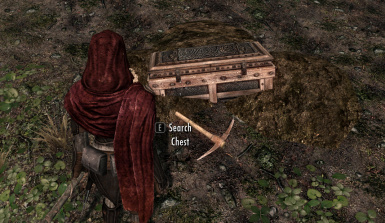 Likewise, the treasure chest in the smuggler's camp behind Whiterun contained ordinary loot and no map at all. Same for the cart by Steamcrag Camp, there was no treasure map in any of the containers there. Likewise, none of the containers present at the Ruins of Rkund contained any treasure maps. I thought "No biggies, I'll just add those maps to my inventory using the console", which I did, except there is only one problem, I have found the location where M'aiq's treasure is hidden, but there was no chest to be found. 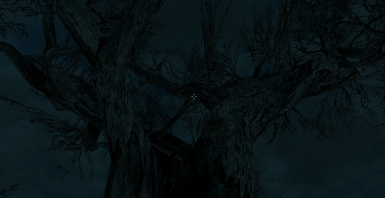 Believing there was 100% chance the chest was in this specific location and unafraid to spoil myself the location of M'aiq's map's treasure, I checked on the Legacy of the Dragonborn Wikia to verify if the chest was supposed to be in this specific location, and it was supposed to be there, but in my game, even tho I have the map in my possession, and even tho I have read the map, multiple times, the treasure chest is completely missing. "Adding the treasure maps using the console commands on a PC will not make the treasure chests spawn." Now, I had to use the console to get three of the treasure maps because otherwise they were missing in my game, or they did not spawn correctly, or they spawned correctly but got overwritten by ordinary loot in my game. And I am afraid when I'll finally find where those treasures are hidden, the chests will be missing too, and, since I have not gone out of my way to collect all the maps ASAP, I am also afraid more maps will be missing by the time I get them. 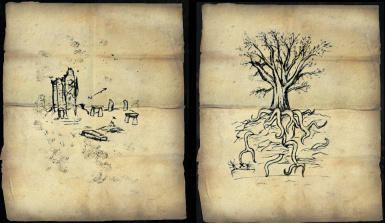 What I want to know is, what are the mechanics behind the treasure maps in Skyrim? 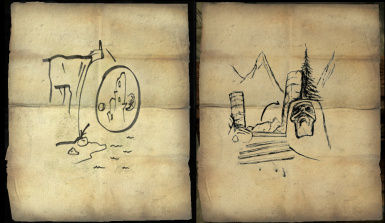 You find a map, you read a map, reading a map makes the treasure chest appear in the game world? Is there a way, using the console command, to make those missing chests appears? Is it a simple matter of ENABLEing the treasure chests? If so, what are all the treasure chests' refID? I am loving this mod so far, and I don't really mind if I have to add the remaining treasure maps to my inventory using console commands, but I do mind the fact that treasure chests may not spawn correctly. The fact that these were hand-drawn is such an amazing feature. Many thanks. and some other stuff that I don't remember. So this isn't playable for me. Might need a patch. That treasure is actually 1 of 2 that are high value and not levelled. The rest are vanilla treasure chests (levelled) just like the first ten you find. Having the same problem with M'aiq the Liar. No map. can I add this map to M'aiq with the console? You can through the creation kit/xEdit or in-game. But I'd just add it to your player after encountering M'aiq. The maps are numbered differently on the wiki, but hopefully you'll be able to find the ones you are looking for. Great mod, your maps are vague and don't give away much, a good challenge. I'm having trouble finding map xvi at smugglers den outside of whiterun. I think I've looked everywhere. Any tips? Also M'aiq the Liar doesn't have a map when I pickpocket him. The map by Whiterun should be in a pretty obvious container, so if it isn't spawning, there might be an issue with your save (same goes for M'aiq). Have you found other maps from this mod in the same game? I've been trying to figure out why this happens to some people, but no luck yet, and I don't have a lot of free time at the moment. Hello. The same problem, there was no map from the smugglers and M'aiq. terrific mod and I'm glad modders added a compatibility patch for this to work with Legacy of the Dragonborn Museum mod. I'm installing LoTD, and wanted to max the treasure hunting capabilities possible with 3rd party support mods like this. Problem is I've got a large load order (even with Bash patch). So I've got to really cherry pick which optional LoTD mods I can add to my deck. For those folks who've completed or in process of finding all the chests this mod provides, can you provide some feedback on the rewards? 1. Basically, trying to understand whether the risk v. character level v. reward is worth the effort my PC will have to make all across Skyrim. example: if my PC lucks out and finds a chest early on say level 1-15, will he get a leveled reward v. finding same chest at level 80? 99? i.e. is the treasure reward scaled according to his level? 2. What percent of the treasure/reward are you required to return to the Museum to complete the curator's quests? Can you keep the gold and/or some artifacts to decor your homes? Or must all artifacts/gold be returned to Museum? If you could post spoilers in hidden tags or direct me to URLs (with pics of actual treasure found AND approx level discovered), all such feedback would be much appreciated! As far as treasure 'level', almost all of them are about the same as the original 10 treasure-map treasures and a few I added a couple non-levelled high quality items that would be great to find but definitely not some over-powered treasure (and I think they are some of the hardest maps to find). Good stuff! Are you planning to port this over to SE so that it can be used with Legacy of the Dragonborn SE? Not any time soon, sorry!